Early Childhood Education leads to increased academic and professional success for children. It also curbs the cradle to prison pipeline by decreasing teen pregnancy, poverty, crime and substance abuse. To join us in this endeavor, please contact us for more details. 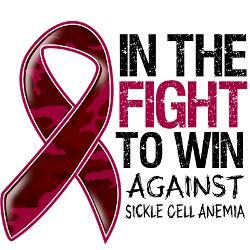 An estimated 90,000 individuals are affected with Sickle Cell Disease (SCD) in the U.S. and approximately 3 million people in the U.S. and 300 million worldwide are SCD trait carriers. Of those affected by the disease, 65%-70% are classified as low income or economically disadvantaged. Most are of African or Caribbean descent. Therefore, raising public awareness and action on this important issue is needed. The Sickle Cell Treatment Reauthorization Act of 2014 was introduced in the House of Representatives. On Wednesday - July 16, 2014 Representatives Danny K. Davis (D-IL) and Michael C. Burgess (R-TX) revealed bipartisan legislation to renew the nation’s programs for research, surveillance, prevention, and treatment of SCD for another four years. Congressman Davis has been working with various stakeholder groups to develop a reauthorization bill for Sickle Cell programs including Jack and Jill of America. The next step is to secure introduction of the bill in the senate and unite to get HR 5124 passed. As such, the Mid-Hudson Valley Chapter will engage in a letter writing campaign that will help in drive awareness and get the bill passed. On October 25, 2014, the Mid-Hudson Valley Chapter hosted an educational legislative activity in conjunction with Mayor’s Youth Empowerment Council, a part of the City of Mount Vernon Youth Bureau. This activity exposed participants to the inner-workings of local, State, and National government. Members of the Mt. Vernon City Council provided the youth with in-depth descriptions of the history of the city, responsibilities of the Mayor, and the legislative and judicial branches of government. Click here to learn why Jack and Jill of America's Mid-Hudson Valley supports the movie Selma and how it supports our legislative agenda.